HE’S COMING BACK! 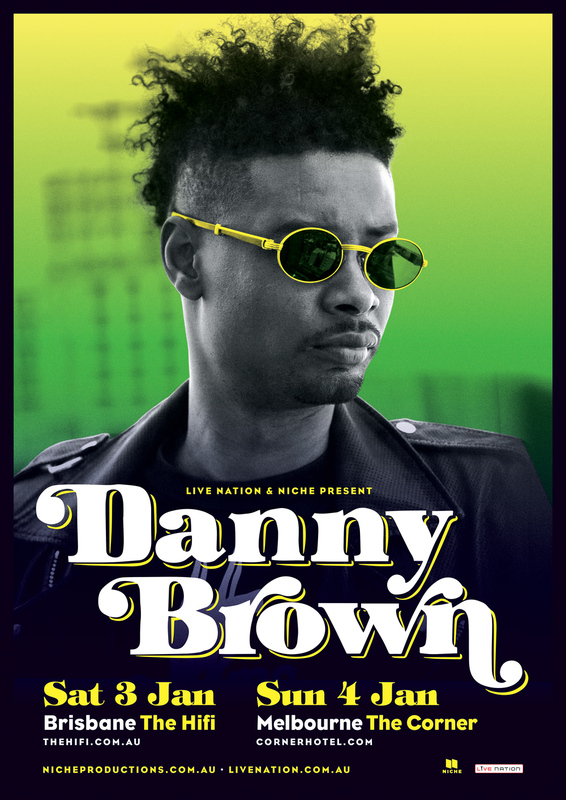 That’s right, the legend that is Danny Brown just hasn’t had his fill of Australian crowds yet, and has just announced two sideshows for his Field Day appearance! Brisbane and Melbourne will be treated to performance from one of this year’s hottest acts, as he wraps up his incredibly packed tour schedule off the back of critically acclaimed sophomore album, Old. Having already appeared at Laneway AND Splendour, if you are one of the few people that haven’t seen him yet, now is your chance! I want to get real here and say that Danny Brown is one of the most memorable and energetic performers I’ve ever seen. To see him at his own show will be something even more special and undeniably awesome, in the true sense of the word. He manages to get the crowd going from the first note of the first track, and refuses to let go until he’s ready. Tickets go on sale this Friday – Do. Not. Miss. This.